Royal babies. High profile murder investigations. Gangland trials. Sexting politicians. Papal visits. Crazy celebrities. It’s been a busy week for the kind of news that distracts, titillates, and otherwise tickles our collective fancy. And, still, the issue of governmental eavesdropping and personal privacy persists. Thanks to the continuing saga of Edward Snowden, and events such as the failed vote in Congress to deny the NSA funds it needs to maintain its snooping, the public remains aware of and concerned about its privacy. This, according to a recent Washington Post/ABC News poll. That’s fantastic news. The public is notorious for its mercurial attention span. One moment we’re ready to take up torches and pitchforks because of some perceived slight committed by an elected official, and the next we’re a puddle of treacly emotion over the birth of a future monarch. But despite what Dr. Larry Ponemon refers to as the public’s prevailing privacy complacent attitude, could it be that news of the NSA’s massive domestic surveillance program has finally jarred our consciousness into action? The fact is, we can’t know for certain if the nearly three quarters of us who today say we are concerned over infringements on our right to privacy will feel the same in another six months. Is the WaPo/ABC poll merely a snapshot taken during a time when our awareness remains driven by the Snowden-fueled diplomatic tensions between the U.S. and Russia? Or, are we really so bothered by the sudden realization that the marvelous world of Google and Facebook and Pinterest really does have a dark side that our communication habits will change? 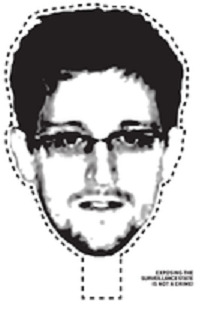 I suspect that Snowden’s revelations will have a lasting effect on our digital privacy through a combination of small and incremental changes to our personal habits, and changes to the rules and safeguards that dictate how our government goes about its business. Despite the narrow loss of the amendment offered by Rep. Justin Amash that would have revoked funding for the NSA’s domestic surveillance program, there is enough public support that some type of pro-privacy legislation to succeed… eventually.